In Japan, the first instance of litigation to enforce patents is handled by the Tokyo District Court or the Osaka District Court. The number of such litigations filed in a year is around 150–200. The appellate proceeding is handled by the Intellectual Property High Court (IP High Court). The Supreme Court has discretion regarding whether to take appeals from the IP High Court or not, and takes no cases or only a few IP cases every year. In each of the district courts and the IP High Court, a panel of judges, consisting of career judges, hears arguments of the parties and renders judgments in writing. No United States-type discovery is available. Injunctive relief is available as long as a patent is found to be valid and infringed, and preliminary injunction is also available as an interim relief, although it takes at least several months to obtain an order of preliminary injunction. No punitive damages are available, but certain presumptions regarding the amount of the actual damages are available. Invalidity of a patent can be raised as a defence against infringement claims before the courts, although a separate proceeding to invalidate the patent is also available before the Japan Patent Office (JPO). There are two types of exclusive rights for protection of inventions. One is a patent and the other is a utility model right. An effective term of a patent is 20 years, while an effective term of a utility model right is 10 years. A patent is granted for a product or process after substantive examination by an examiner of the JPO, while a utility model right is only granted for a product without substantive examination. Requirements for a utility model right, such as novelty and inventive step, are examined when a right holder tries to enforce the right because the right holder is obliged to obtain a 'technical opinion' of an examiner of the JPO, prior to commencement of enforcement. The level of inventive step required for a utility model right is stipulated to be lower than that required for a patent, but there appears to be little difference in practice. Chances for a post-grant claim correction of a utility model right are more limited than that of a patent. From practitioners' point of view, a utility model right is easy to obtain, but very difficult to enforce. A patentee may enforce its right by filing a complaint with a court and obtaining an order from the court for an injunction, payment of compensation for damages, or both. Patent infringement litigation is mainly regulated by the Code of Civil Procedure (Act No. 109 of 1996), but a number of special provisions have also been included in the Patent Act. Border enforcement at a customs office is another method of enforcing a patent. Japanese courts have jurisdiction over a foreign defendant if it has an office in Japan or if the place of the alleged infringement is in Japan (Articles 3-2 and 3-3 of the Code of Civil Procedure). An action with respect to a patent is subject to the exclusive jurisdiction of the Tokyo District Court or the Osaka District Court in the first instance and the IP High Court in the second instance (Article 6 of the Code of Civil Procedure). The IP High Court is a special branch of the Tokyo High Court established for the litigation of intellectual property rights matters. At the Tokyo District Court, Osaka District Court and the IP High Court, there are special divisions for litigation concerning intellectual property rights and many of the judges in these divisions have substantial experience in dealing with patent cases, although judges with technical backgrounds are uncommon. In the IP High Court, cases involving issues the court finds important may be heard and judged by the grand panel consisting of five judges, including the chief judges of each division. In addition to a panel of judges, a technical researcher is assigned to each case to advise the judges. The technical researchers have technical backgrounds and experience in working as patent examiners at the JPO or as patent attorneys in private practice. Further, at the time of the technical presentation session, explained below, the court may appoint technical experts. A patentee often begins an action by sending an alleged infringer a cease-and-desist letter, but it should be noted that there is a risk that the recipient of the letter may then initiate an action for a declaratory judgment or request an invalidation trial in the JPO. In a complaint, a patentee, as a plaintiff, has to identify the patents and their claims to be asserted by their registration numbers and claim numbers; the accused products by their trade names, model numbers, or both; and the amount of damages sought as compensation. The complaint and summons are served on the defendant, an alleged infringer, by the court, usually within a week and the first hearing is held within 30 to 50 days of the service of process. Unlike in the United States, there is no 'discovery' in Japan and each party has to collect its own evidence. However, Article 104-2 of the Patent Act stipulates that an alleged infringer has to disclose relevant information of the accused product or process when the alleged infringer denies the patentee's allegation. Further, there exists a system where a court may, upon the request of a party, order the other party to submit documents. In patent infringement litigation, grounds to refuse the submission of documents, which are specifically requested by the patentee for the purpose of establishing infringement and damages, are more restricted than in general civil litigation, and therefore, the submission of documents that a court recognises as necessary cannot be rejected without justifiable grounds (Article 105 of the Patent Act). A party that is requested to submit documents often refuses based on the argument that it is justifiable to refuse to submit the requested documents containing trade secrets. However, in patent infringement litigation, as the protective order system is applicable and available (Article 105-4 of the Patent Act and other provisions), the fact that the requested documents contain trade secrets does not necessarily constitute a justifiable reason for refusal. A protective order prohibits the addressees from using trade secrets submitted by the counterparty for any purpose other than litigation proceedings and from disclosing trade secrets to any person other than the addressee of the protective order. A protective order is issued by the court against each natural person working as an outside or in-house counsel of the party to the litigation. Breach of a protective order may result in criminal punishment. While the first hearing and the final hearing are held publicly, the proceedings for patent infringement litigations are often conducted by means of a non-public preparatory proceeding. A hearing or preparatory proceeding is normally concluded within 30 minutes every four to six weeks and the allegation and proof must be detailed in the documents submitted to the court in advance of the hearing or preparatory proceeding. A technical presentation session, where each party may take 30–60 minutes to make an oral presentation to the judges, is often held upon a party's request once the judge feels that all of the relevant allegations and proof in relation to the infringement and validity of the patent have already been submitted to the court. In some cases, court-appointed technical experts may join the technical presentation session so that the judges know how such experts view the presentations made by both parties. Generally, the existence of liability for infringement and the amount of damages are determined separately. The sum of the damages to be payable are determined after a preliminary assessment of the liability for infringement, only if the judges are convinced that liability for infringement exists. It usually takes 12–18 months for the first instance to complete. Proceeding with an action for preliminary injunction is substantially similar to that of a lawsuit on the merit. Even though it is a proceeding for 'preliminary' relief, it takes at least several months. Having said that, an order for a preliminary injunction becomes enforceable immediately, while an order of permanent injunction issued through a lawsuit on the merit becomes enforceable only after conclusion of appeal proceeding. A patentee is required to place a bond in an amount decided at the discretion of a judge in light of the estimated annual profit of an alleged infringer. In addition to raising a defence based on patent invalidity before a court, an alleged infringer may initiate an invalidation trial before the JPO. Standing for an invalidation trial before the JPO is limited to interested parties. A case is assigned to a panel of three appeal examiners. A patentee is given an opportunity to rebut against alleged grounds for invalidation as well as correct patent claims and specification. After exchange of arguments between the parties in writing, an oral hearing is held. A panel of appeal examiners often sends a list of questions to both parties prior to the oral hearing. If a panel of appeal examiners finds that a request for invalidation should be dismissed, then it concludes the proceeding and issues a final decision. If a panel of appeal examiners finds that a patent should be invalidated, it issues a preliminary decision in writing prior to a final decision. A patentee is given an opportunity to rebut such a preliminary decision as well as correct the patent claims and specification. It is not rare that a conclusion of a final decision is different from that of the preliminary decision. A patent invalidation trial usually takes 10–15 months. A losing party may file a complaint to revoke the decision of the JPO in the IP High Court. Pendency of a patent invalidation trial before the JPO does not force the court of an infringement action to stay its proceeding. The decision of the JPO, where an action to revoke is still pending, does not have binding effect over a court of an infringement action. Nevertheless, a panel of judges in charge of an infringement action is usually interested in the progress and outcome of an invalidation trial before the JPO, and tends to avoid rendering judgment that is inconsistent with the decision of the JPO in relation to the issues regarding patent validity. Sending a cease-and-desist letter to potential purchasers or customers of an allegedly infringing product involves a risk that if, as a result of a judicial decision, no infringement is found or the patent becomes invalid, the sender of the letter may be found to have made a false statement and to have damaged the reputation of a competitor, rendering the sender liable for damages for unfair competitive acts or tortious acts. Such risk also exists when sending a cease and desist letter to an intermediate distributor or a retailer of the allegedly infringing product, as such parties are not only in the position of an alleged infringer as seller of the products but are also customers of the manufacturer. Also, if an alleged infringer is forced to suspend its business due to an order of preliminary injunction, and further, if such order is cancelled thereafter due to a final decision, which finds non-infringement or invalidity of the relevant patent of the lawsuit on the merit, the patentee is liable for compensation of the damages caused by such suspension of the business. Literal infringement is found if all elements of an asserted claim are satisfied by an accused product or process. Judges interpret the scope of the asserted claim based on both intrinsic evidence, such as specifications, drawings and prosecution history, and extrinsic evidence, such as dictionaries, expert opinions and prior art references. In order to establish an infringement of a patent where the effective term was extended based on time spent obtaining marketing approval from an administrative agency, with respect to the patented pharmaceutical or agrichemical product of a patentee or its licensee, the patentee needs to argue and prove that, in addition to all elements of the asserted claim of the patent being satisfied by an accused product (i.e., a generic pharmaceutical or agrichemical product), such accused product must be almost identical to the original product of the patentee or its licensee, based on which the patent term extension was granted, in terms of components, quantity, usage, dosage, indication and efficacy. the accused product or process was not intentionally excluded from the scope of the claim in light of prosecution history (Supreme Court, 24 February 1998). The patentee has the burden of proof regarding conditions (a) to (c), and the alleged infringer has the burden of proof regarding conditions (d) and (e). an alleged infringer knows both of the fact that the patent exists and the fact that the item is actually being used for manufacturing patented products or using the patented process. Patent invalidity based on lack of novelty or inventive step, as well as a lack in the description requirement, such as a lack of clarity, enablement or support requirements constitutes a defence for an alleged infringer. The standard of proof for the defence based on such grounds for invalidity is the same as that for an invalidation trial before the JPO. A patentee may overcome the defence of invalidity based on the argument that the alleged grounds for invalidation is no longer applicable owing to correction to the asserted patent claims and specification. An alleged infringer often relies on this ground to argue non-infringement. Rather than applying estoppel based on prosecution history, judges tend to use prosecution history as one item of important evidence for claim construction. If an alleged infringer used the patented invention in its business or completed the preparation for such a business prior to the relevant priority date of the application for the patent, then the alleged infringer is vested with the statutory licence for the patent and not held liable for patent infringement (Article 79 of the Patent Act). If an alleged infringer can establish that it was granted a licence to work the patented invention by a previous owner of the enforced patent, then the alleged infringer will not be held liable for patent infringement. Once a patentee or its licensee has sold a patented product, then the use and resale of such products do not constitute patent infringement. As for repaired or recycled patented products, such as refilled ink cartridges, the patent is enforceable only if such products are found to be new products produced by the repairing or recycling activity in light of the nature of the products, content of the patented invention, aspects of processing and replaced parts, etc. (Supreme Court, 18 November 2007). The importation and distribution of products sold by a patentee or its licensee outside Japan does not generally constitute patent infringement. They do, however, constitute patent infringement if importation into Japan was prohibited as a condition of the first sale taking place outside Japan and further, if such prohibition was expressly described on such products (Supreme Court, 1 July 1997). Experimental use of a patented invention is immune from liability for patent infringement (Article 69 of the Patent Act). The use of a patented invention for the purpose of clinical trials necessary for obtaining approval for generic drugs is found to fall within the scope of experimental use (Supreme Court, 16 April 1999). Injunctive relief is not subject to a statute of limitations, or any other doctrine that prevents it from being awarded to a patentee, as long as the allegedly infringing acts or the threat of infringement exists at the time of the conclusion of the hearing proceeding. The right to seek compensation for damages for a tortious act is subject to a statute of limitations when three years have elapsed since the patentee first became aware of the infringement and the infringer. If more than three years have elapsed, proceedings may only be instituted to enforce the right to seek the return of unjust enrichment, the recoverable amount of which is limited to the reasonable royalty. The right to recover reasonable royalty, which an infringer failed to pay, as unjust enrichment is extinguished by a statute of limitations after 10 years have elapsed; however, unjust enrichment can be recovered for any unjust enrichment occurring within the 10 years preceding the date of filing a lawsuit, even if the infringement started more than 10 years prior to the filing date. In this regard, it should be noted that, under the recent revision to the Civil Code, which is supposed to become effective as of 1 April 2020, the term recoverable as unjust enrichment will be shortened to five years. If the court finds that the alleged infringer is actually infringing a valid patent or that there is a threat of infringement through the proceeding for litigation on the merits, the court orders an injunctive relief upon patentee's request without examining other conditions such as public policy or the necessity for such an injunction. Nevertheless, in case of enforcement of a standard essential patent that is subject to a fair, reasonable and non-discriminatory (FRAND) licence declaration, an injunctive relief against a willing licensee is not available as an abuse of right. the amount equivalent to a reasonable royalty. Method (a) is applied if the patentee sells a product or process competing with the accused product or process in the relevant market. With respect to method (b), the court may deny its application if the patentee itself was not in a position competing with the infringer, such as a non-practising entity. Method (c) can be applied to determine the amount of compensation as damages resulting from infringement. In addition, in response to a request of the patentee, the court may appoint an expert to determine the damages and instruct said expert to inspect the financial documents of the accused infringer and submit an opinion about the amount of damages. 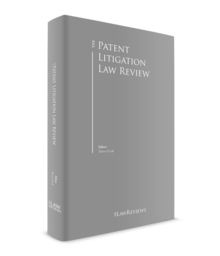 If the applicant sent a letter, with a laid-open patent gazette attached, notifying an alleged infringer of the existence of the patent application and that a product or process of the alleged infringer falls within the scope of the claims prior to the registration of the patent, then the patentee may seek, after the patent is granted, reasonable royalty for the term from the notice to the registration retrospectively (Article 65 of the Patent Act). Declaratory judgment action is available for an alleged infringer against a patentee before the courts. However, under the Code of Civil Procedure, the court cannot declare whether an allegedly infringing product or process falls within the scope of asserted claims or whether an asserted patent is valid or not, but can only declare whether a defendant, namely, a patentee, has rights to seek injunctive relief or monetary relief based on finding of such facts. One of the requirements for such an action is necessity for declaration, which is often proved by a cease-and-desist letter sent by a patentee. Assignment of an issued patent or pending patent application can also be requested based on false inventorship before the courts. As for a pending patent application that was not filed by a party having the right to file the patent application, a party that claims to have the right to file such an application can request declaration of the court. With the finalised declaratory judgment, the party may request that the JPO transfers the application. As for an issued patent, a party that claims to have the right to file such an application can request that the court orders assignment provided that such relief is available only for the patent, the relevant application for which was filed on or after 1 April 2012. Border enforcement of a patent can be requested by a patentee by filing a complaint with a customs office. The customs office usually appoints three experts, consisting of practitioners and academic scholars, and relies on their opinions as to whether a patent is infringed. Detailed information is available on the customs office website at www.customs.go.jp/mizugiwa/chiteki/index_e.htm. A losing party to a judgment by the Tokyo District Court or the Osaka District Court can appeal to the IP High Court by filing a notice of appeal within 14 days of their receipt of the judgment. The IP High Court can review not only the legal conclusion but also the fact determinations, and the parties are able to introduce new evidence during the appeal proceedings. The IP High Court conducts de novo review, in other words, there is no legal presumption that the judgment of the first instance was correct. The period of time from the date of the appeal to the judgment of the IP High Court is approximately six to 12 months, during which a few hearings and preparatory proceedings are held. Allegations and proof must be detailed in the documents. With respect to the judgment of the IP High Court, it is possible for a losing party to file a petition for the acceptance of a final appeal to the Supreme Court, based on the limited reasons that the judgment contains a legal conclusion that is inconsistent with precedents rendered by the Supreme Court or that it involves material matters concerning the construction of laws and regulations. The Supreme Court, in its broad discretion, may accept such a case as the final appellate court. Usually, the Supreme Court accepts no or only a few IP cases every year. It is possible that a conclusion of the district court in respect to patent invalidity will be inconsistent with a decision of the JPO given in relation to the invalidation trial. However, both an appeal from a district court and a case for the revocation of a JPO decision will be heard and judged by the same panel of judges of the IP High Court, as long as both cases are pending simultaneously, and therefore as a practical consequence, it is to be expected that there will not be any inconsistency in decisions at an appellate court level. A bill to amend the Patent Act was passed by the Diet and promulgated in May 2018. The amendment relates to request for document production, and is supposed to become effective in early 2019. Article 105 of the Patent Act stipulates that a court may, upon the request of a party, order the other party to produce documents which the court recognises as necessary unless the party that is the subject of the request has justifiable grounds for refusal. To determine whether there are justifiable grounds for refusing the document request, the court may cause the relevant party to bring the requested documents to the court for an in-camera inspection of the documents prior to ruling on the document request. Note that a prerequisite to the in camera inspection is the court's recognition that the requested documents are necessary evidence. There have only been a few occasions when such an in camera inspection has been conducted. Under the amendment, a court has the power to conduct an in-camera inspection for the purpose of determining not only whether there are justifiable grounds for refusing the document request, but also, whether the documents are necessary evidence. It is expected that a court may conduct an in camera inspection of the requested documents prior to judging whether the requested documents are necessary as evidence. Further, judges may become able to show the documents to court-appointed experts to ask for their advice during an in camera proceeding. 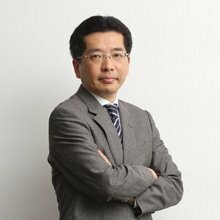 On 5 June 2018, the JPO published the Guide to Licensing Negotiations involving Standard Essential Patents (https://www.jpo.go.jp/shiryou/kijun/kijun2/files/seps-tebiki/guide-seps-en.pdf). The guide has no legally binding effect, but may be useful for practitioners' reference purposes because it summarised updated court precedents and negotiation practices on FRAND royalty rates in not only Japan but also other major jurisdictions. 1 Yasufumi Shiroyama is a partner at Anderson Mōri & Tomotsune.